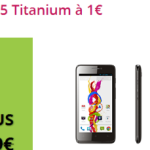 Part of new ARCHOS strategy, the company has recently launched a smartphone line of products with 3 models: an entry level 3.5″ model ARCHOS 35 Carbon (79,99€ / £79.99 / ~$105) and two phones bith bigger screens: 5″ on ARCHOS 50 Platinum (199,99€ / £179.99 / ~ $260) and 5.3″ on the ARCHOS 53 Platinum: (249,99€ / £199.99 / ~ $326). 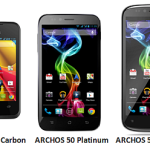 The ARCHOS 50 Platinum is the first model to ship on the market and should be available next month. 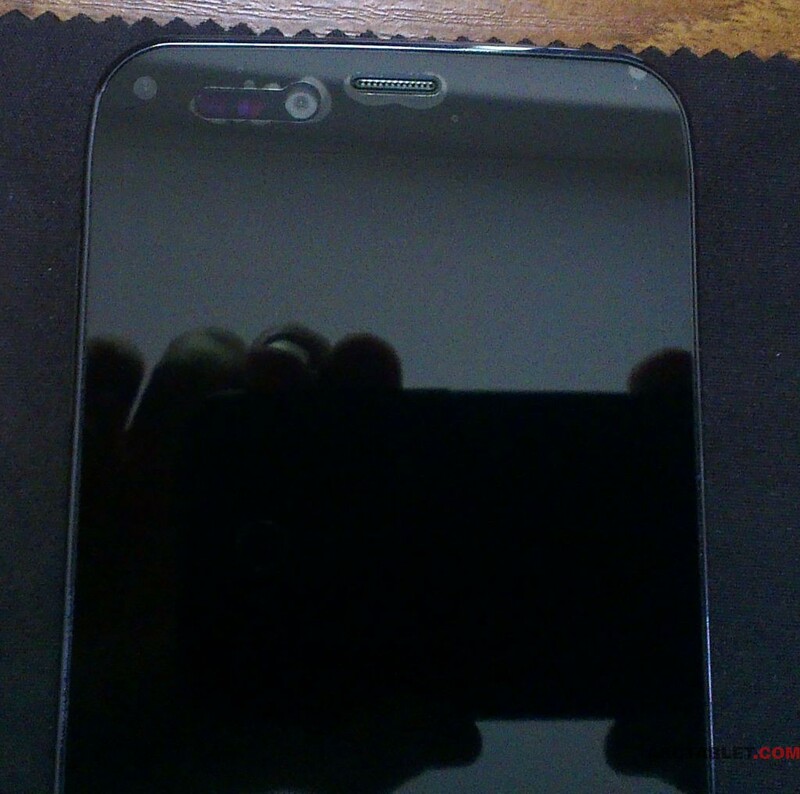 Here are our first pictures of this device. Back of the device, fully plastic material, you can see a speaker at the bottom. 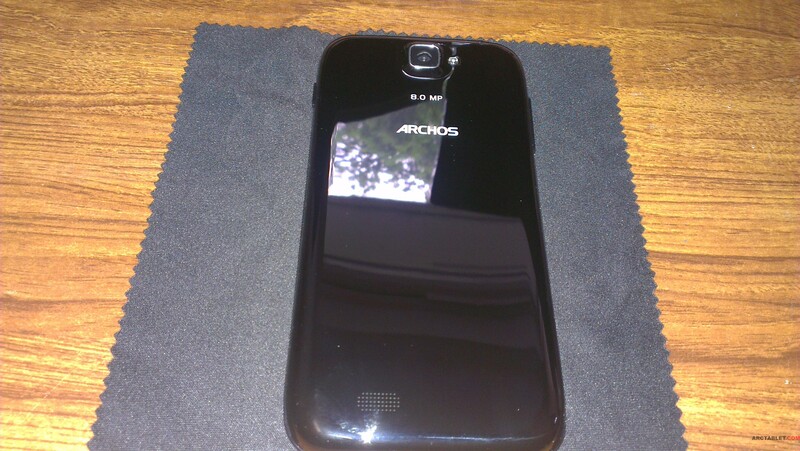 A protective film layer is installed by default on the phone. Even if the phone screen resolution is limited (qHD, 960×540 pixel), the display doesn’t look too pixelated. 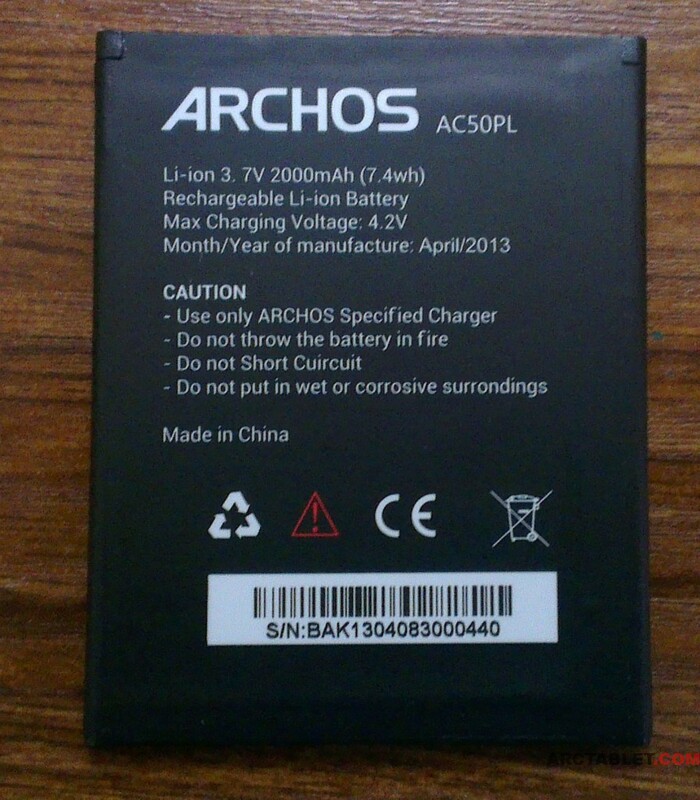 The 2000 mAh Li-ion battery is removable, a nice feature. 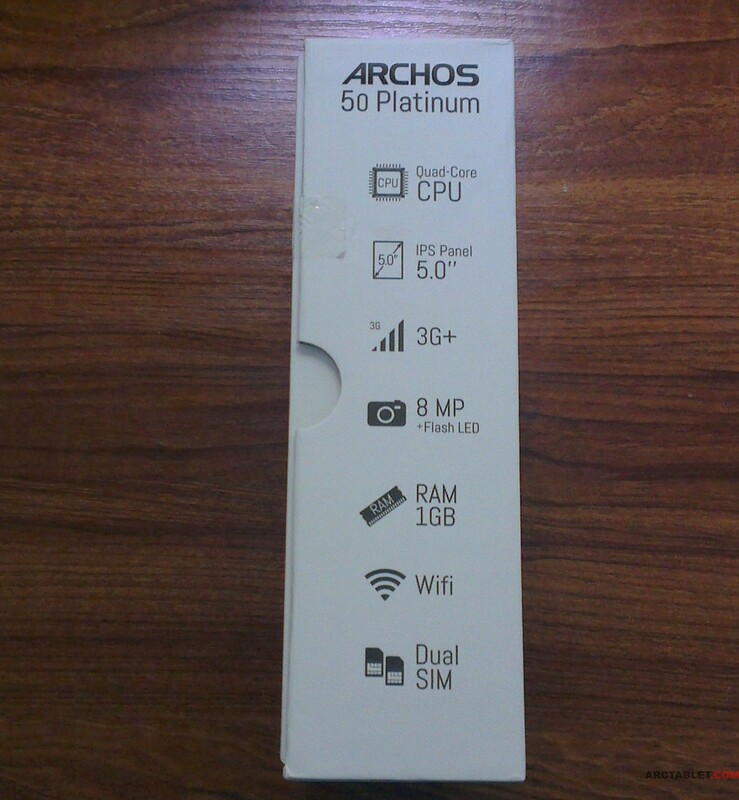 Would you buy the new ARCHOS 50 Platinum smartphone ? 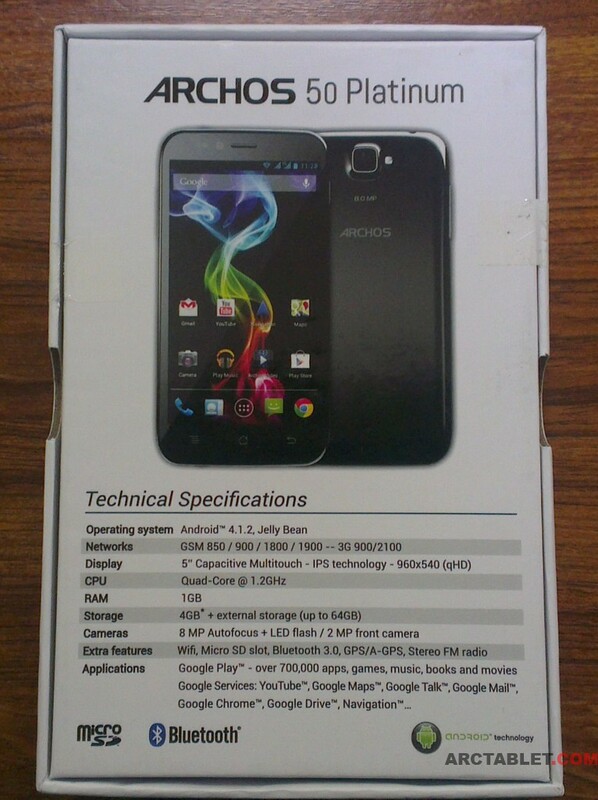 Check back again, the rest of our ARCHOS 50 Platinum review should be published soon. 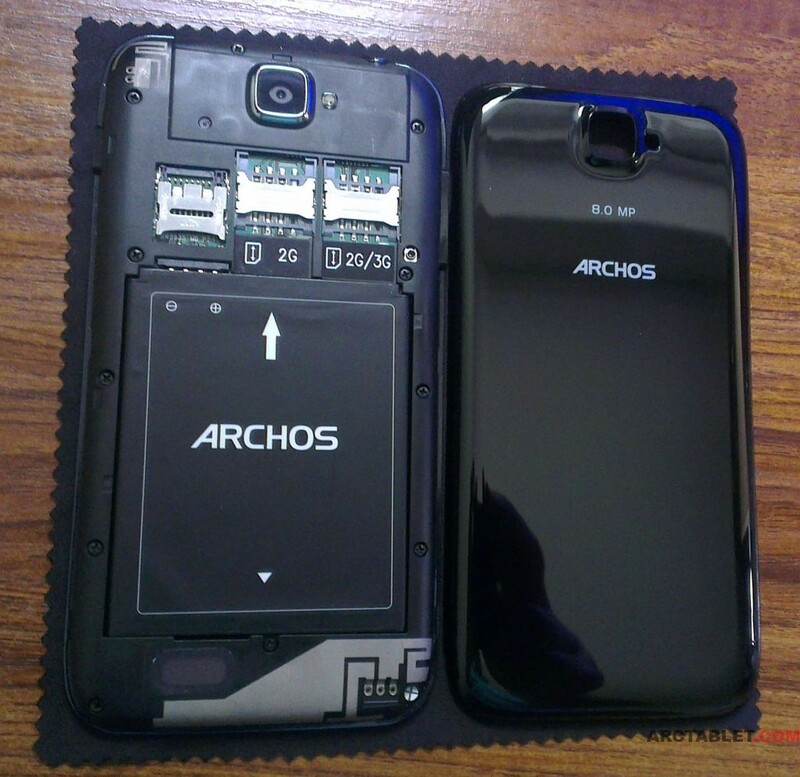 Please post in our ARCHOS Smartphones forum if you have any question. ARCHOS 35 Carbon smartphone canceled, replaced by 45 Titanium model ? Technology addicted man, part of the Arctablet team since February 2012, creator of couple of firmware’s/rooting methods and flashing packs. 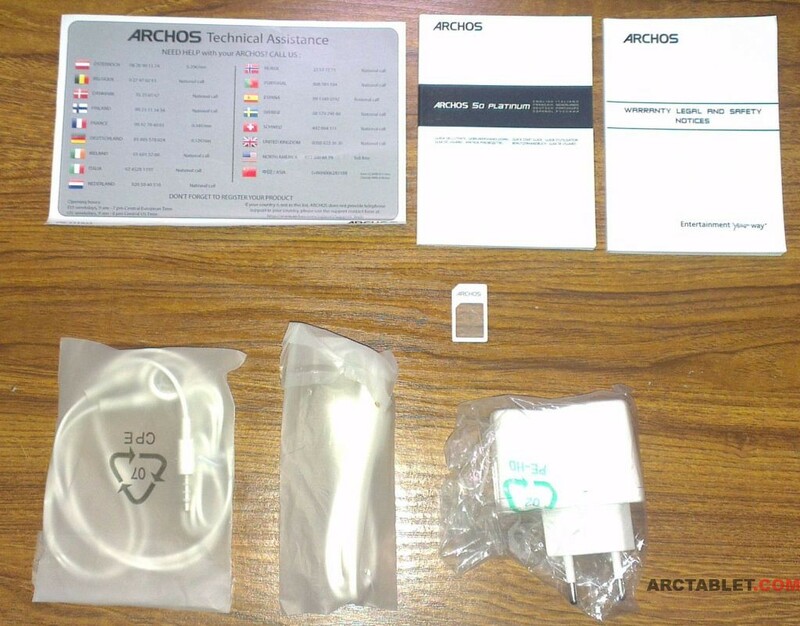 He is specialized in the Arnova 3G capable tablets but also in the new ones based on the Rockchip 3066 SOC. Got tired of waiting, pre-ordered it. I’m curious, where did you buy it from ? Could you do a in-depth review of the processor capabilities, with benchmark results? I’m a little concerned about the GPU (Adreno 203 isn’t it?) on this soc. Could you post a video showing it’s gaming capabilties (games like dead trigger, shadowgun are good examples to test the gpu) please? 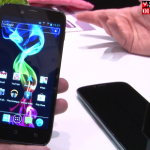 I would really like to buy this cellphone! I will do more in the weekend, the pixelation is there because I re-encoded the video and lowered the bitrate. 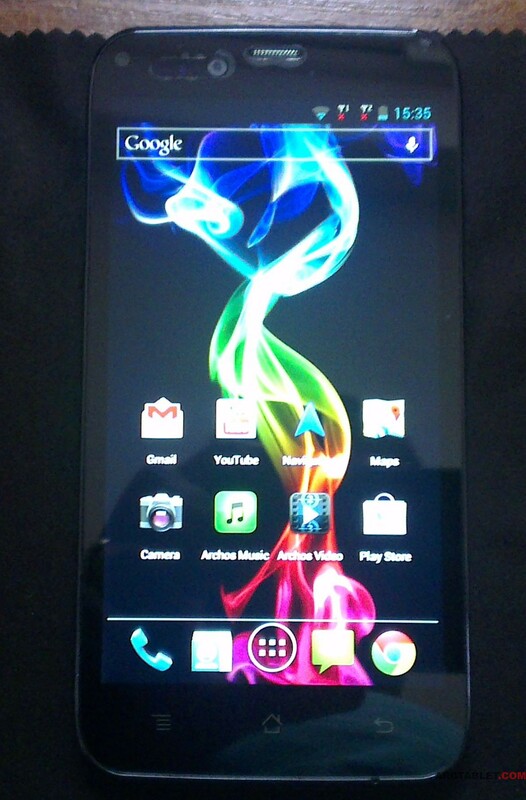 It get`s hot as my HTC One X when you do intensive tasks. I did tested also other games and seems that it performs ok on each one. Gaming performance-wise it looks great! As this cpu soc is meant to compete against the Mediatek‘s mtk 6589, could you include in your in-depth review both soc specs (like if its 28mm or 40mm, which gpu etc)? This would be great! Im very thankful for the gaming demonstration! @Adonis K. I will do a short video in the next days. And regarding the root, well, I rooted already the Archos Platinum 53, but I can not test on this phone nothing, because is a sample and I should return it 🙂 in pristine condition, tough root, should be achievable also on the 50, at least for me which I have experience with these types of products. 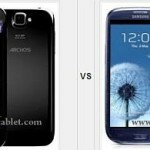 @lolxdptrd There are 2 screen protectors., both are coming with the phone and applied already on it. @lolxdptrd I removed only one screen protector and left the clearer one on the phone. That looks great, could you prepare any videos with the next reviews? 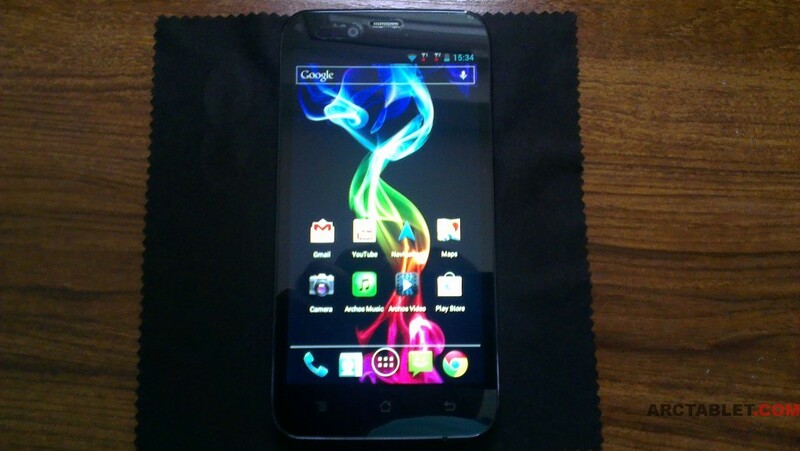 It’s not specified on the description, but on the pictures it looks like there’s a screen protector on the screen. Was it directly applied on the screen when you got it, or included, or maybe you’ve bought it separately (if it’s already applied it’s great).